Permanent help for missing teeth! 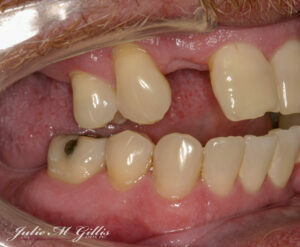 Some patients just do not want dental implants. Some patients are not good candidates for dental implants for any number of reasons. Or it may be that a patient wants something done right now for a better appearance, while still allowing something different to be done in the future. 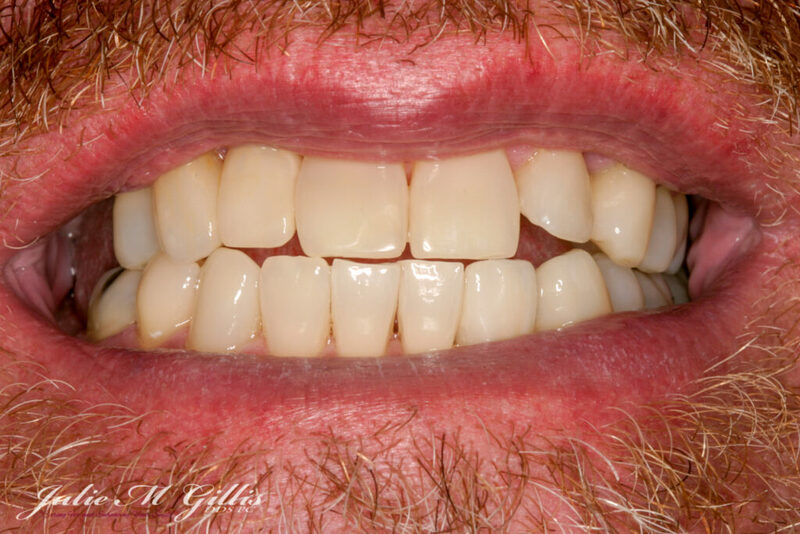 An all-porcelain bridge may be the right solution for you! Maybe the thought of replacing your missing teeth with a denture or partial denture just doesn’t sound right, there are still good options! In our office, we try to save teeth when this is the best solution. Our dentist, Julie Gillis DDS will evaluate the health of the teeth adjacent to the spaces and an all-porcelain bridge may be a great option here. Sometimes this can be made as an all-porcelain cantilever bridge which is even more conservative! There is no one-size-fits-all option for replacing missing teeth! An all porcelain bridge may be a great option here. Sometimes this can be made as a cantilever bridge which is even more conservative! There are many options for replacing missing teeth. Our office will help find the right option for you. What are the disadvantages of a partial denture? Cantilever bridge. nicely and conservatively fills this area. Existing space correctly sized for a cantilever bridge. When missing teeth are replaced with an all porcelain bridge or a cantilever bridge the tooth or teeth adjacent to the missing tooth will be shaped to receive a porcelain crown, the missing tooth will be attached to this crown. The resulting bridge or cantilever bridge can look very natural and be very comfortable! 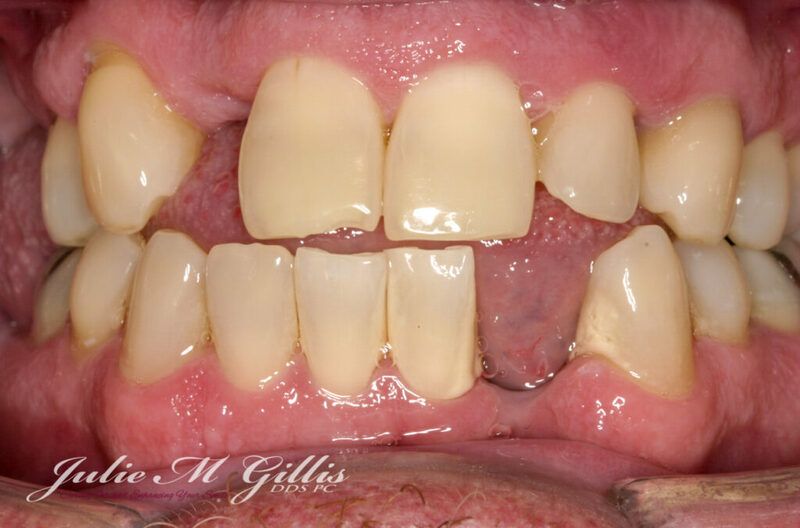 A very natural and conservative result was achieved with the use of cantilever all-porcelain bridges to replace the missing teeth. 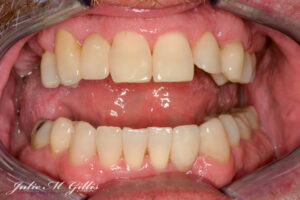 If you or someone that you know would like to replace missing teeth, we would be happy to give your options to do this. Please call our Western Colorado office at 970-242-3635 to set up an appointment with Dr. Julie Gillis and her friendly team.